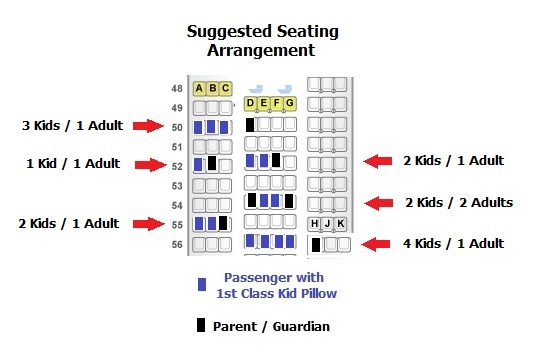 In the wake of a few airlines including Qantas and Jetstar releasing an update banning all kids travel beds listing them under “prohibited in-flight items” in recent months, we are extending our 60 days purchasing guarantee to our Australian Customers for their peace of mind. If you have been disallowed to use our product on your flight, or for any reason you are not happy with your purchase, you have 60 days to return your item(s). If the item is new and unused, with all the labels and tags intact, and in its original packaging, you’ll get a full refund on the item(s). (Buyer needs to pay return postage). Presently NOT advised for usage on Emirates, Qantas and JetStar Airlines. Unfortunately we cannot guarantee usage if an airline decides to not allow the use of our pillows. If you have any concerns please call your airline customer service but the representative may not understand how it operates with a quick deflate valve and assume that it will block areas or other passengers! We recommend you plan your seating arrangement so generally you are only dealing with your traveling companions and not blocking in non-party passengers.